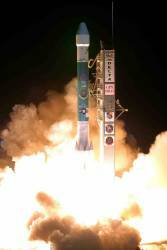 The March 15 launch (at 2:09 a.m. EDT) of a modernized IIR —SVN19R-M — was the third of these, following successful launches on October 17 and December 20, 2007. The satellite is en route to the fourth slot of the constellation’s A plane with the designation SVN48. It will operate as PRN07, its pseudorandom noise code identification. The final Block IIR-Ms are scheduled to go up this year on June 8 and September 8. June’s launch includes an L5 demonstration payload that will broadcast the new civil signal in advance of the follow-on generation (Block IIF), which will carry the signal as a regular feature. Although Air Force operators had been concerned about the impending demise of older satellites, “some SVs that we thought would fail are still operating,” said Madden. 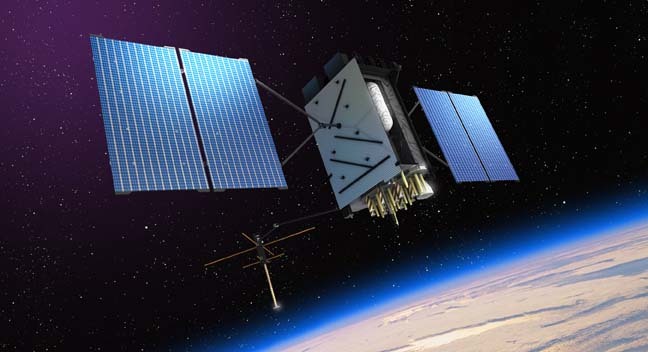 The GPS Block IIA satellites have long outlived their design life. SVN/PRN24, launched in 1991, is the oldest operational GPS spacecraft. The Block IIRs, the first of which launched more than 10 years ago, are also showing remarkable resilience. As a result, the GPS constellation will have more functional spacecraft in it than ever — 32. Two of those satellites, however, will be switched off and kept as spares, including SVN27 that IIR-M 19 will replace. 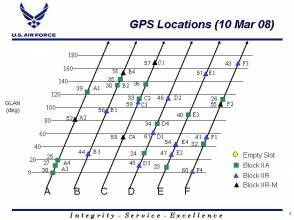 The “baseline” GPS constellation or fully operational capability (FOC) calls for only 24 on-orbit satellites — 4 in each of 6 planes. Implementation of the Next Generation GPS Control Segment (OCX) for which contracts were let last November will, among other things, enable the system to handle more than 31 satellites simultaneously. 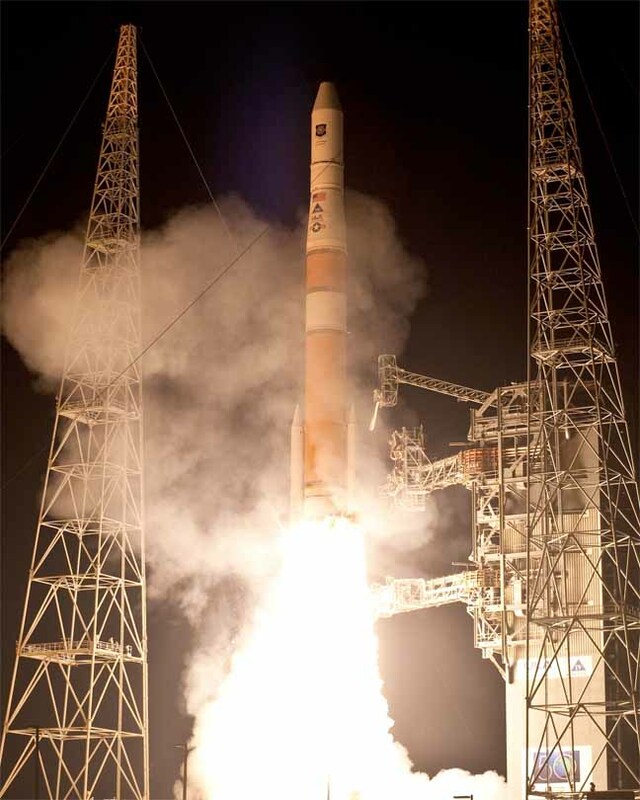 Air Force officials hope to have an operational OCX in time for the first GPS Block III satellite launch, now expected to occur in the 2013–14 time frame. The IIR-Ms can transmit the new military M-code signal (as well as the second civil signal at L2), which has provided another incentive for accelerated launches. Air Force officials are looking forward to having enough satellites available to begin evaluating the M-code signals in space and testing modernized user equipment (MUE) for such features as antijam protection and antispoofing capability. 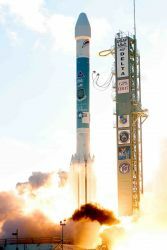 If all goes well, eight IIR-Ms should be in operation by the end of 2008, but initial operational capability (IOC) for M-code — 18 satellites — will not occur until the last of the IIFs reach orbit in five or six years. Prototype MUE receiver modules are scheduled to be available for testing by 2010, according to Madden. Although better clocks have improved the user range error (URE) of the signals in space, additional satellites have not necessarily translated into better dilution of precision (DOP) values. DOP is a factor derived from the geometry of satellites that can improve or worsen positioning accuracy. Because many of the satellites are clustered together in the orbital planes (see figure at beginning of article) to ensure back-up capability rather than spread out in an optimal configuration, DOP values look more like those of a constellation with fewer satellites.